To discover the Lower North Shore in its full splendour, Discover the Lower North Shore has created thematic tourism routes. You can follow various different routes on your own, map in hand, and discover the hidden gems of the Lower North Shore. These routes can also serve as suggestions to help you plan your trip. Don’t hesitate to use ideas from these routes in order to create your own plan. Want to discover the Lower North Shore in all its splendour? 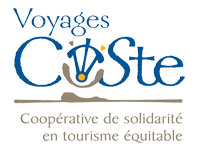 We are offering you an unforgettable journey on board the Bella Desgagnés, a cruise and freight ship that will bring you to coastal villages that are entirely inaccessible by road. This is the route taken by the first explorers of North America. It includes a combination of activities and visits that will allow you to experience the many outstanding cultural and natural attractions of the region. The Quebec smash hit Seducing Doctor Lewis (La grande séduction in French) was set in exquisite Harrington Harbour. Now it’s your turn to be seduced by the tiny, isolated fishing villages of the Lower North Shore and their charming residents. 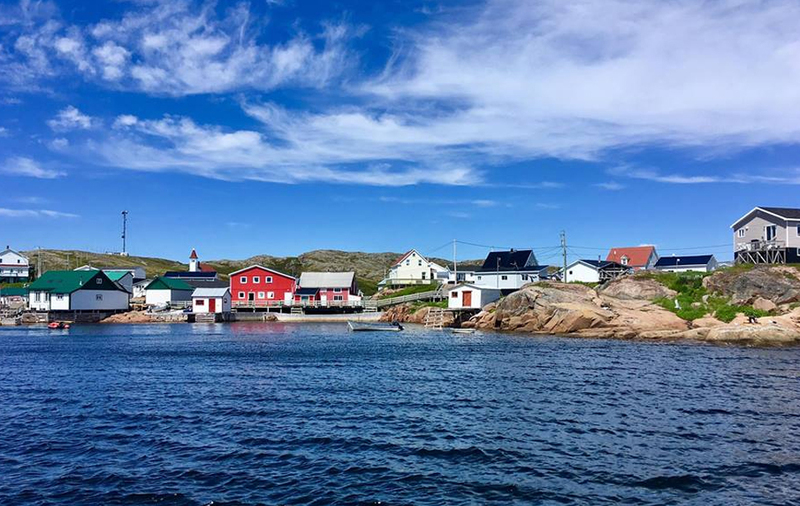 Imagine being in a tiny village with no road, far away from crowds, admiring tundra landscapes and the ever-present Gulf of St. Lawrence, amidst whales, seabirds and unforgettable people - a complete change of pace. 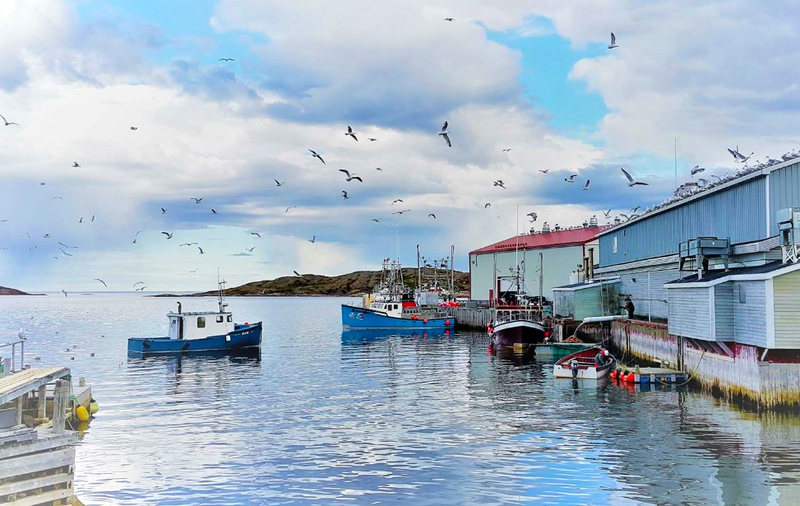 Harrington Harbour was rightfully designated as one of Quebec’s most beautiful villages. Many of the surrounding communities are equally attractive with their island settings and wooden houses. These communities have witnessed an exciting history, are surrounded by a spectacular setting, and have a culture that revolves around the sea. Where the road ends, the Route blanche begins. Literally meaning “white route”, the Route blanche is where the adventure begins for experienced snowmobilers looking for a challenge: the Lower North Shore. The majestic icy landscapes will capture your imagination: ancient glacial valleys, frozen lakes and rivers, and an endless view of the St. Lawrence. The trail crosses 9 fishing villages, including Harrington Harbour. Snowmobiling is a unique and flexible way to discover the Lower North Shore. Kuei! Bonjour! Hello! Plunge into the rich cultural diversity of the Lower North Shore. 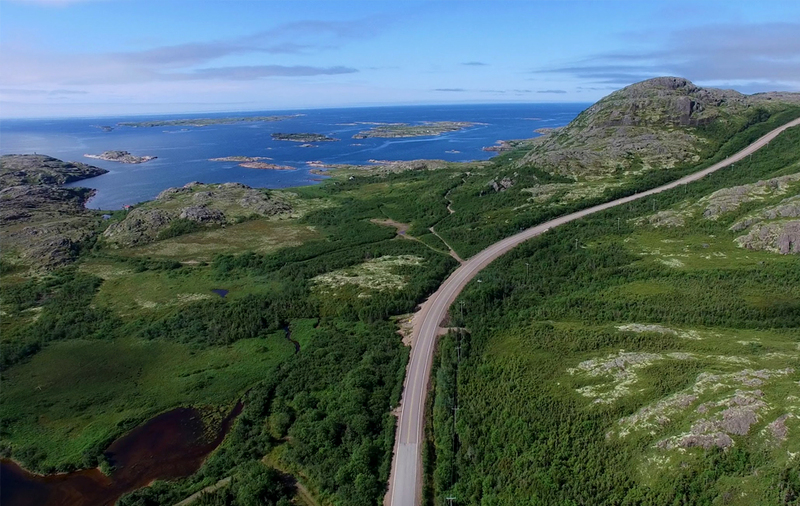 The Innu, French, and English-speaking residents of the Lower North Shore are all profoundly attached to this land. Each has an intriguing cultural heritage. It won’t take long spending time in these villages before you become attached to the Lower North Shore. Through this route, you will have the opportunity to discover the history, culture and beliefs of the many peoples, both past and present, who have lived on this land. Tour the Jacques Cartier Trail and discover the extraordinary history and heritage of the Lower North Shore. Named after the first French explorer to sail along this coastline in 1534, the Jacques Cartier Trail is an interpretive driving tour that extends between the communities of Old Fort and Blanc-Sablon. A series of informative panels featuring local artwork will introduce you to the natural and cultural heritage of the region. You will recognize these blue panels stationed throughout the area near look-outs, museums, and other attractions. Maps outlining the details of this trail can be obtained at the visitor information desk, near the ferry terminal in Blanc-Sablon. Follow the Flavour Route – it will be a gourmet adventure that will entertain your palate while allowing you to discover local culture first-hand. Sample local specialties – be sure not to miss bakeapple jam or lobster pâté. Offer yourself delicacies such a caribou, moose, fish or seafood. Gather delicious wildberries that are typical in the region. Your tastebuds will thank you! The Quebec-Labrador Coast has a fascinating history with traces of English, French, Basque, Jersey, Innu and Inuit; a grandiose landscape that is home to one of the largest concentrations of marine mammal and the largest puffin colony in Quebec; a unique culture with warm, welcoming people. In order to take advantage of all the greatest attractions of the eastern sector of the Lower North Shore and the Labrador Coast, we have put together a 6-day tour, with 3 days in Quebec and 3 days in Labrador. Within a distance of approximately 240 kilometres each way (144 miles), you will have the opportunity to visit the Whiteley Museum, the Jacques Cartier Trail, the Middle Bay Interpretation Centre, the Brador Falls, the Ile aux Perroquets puffin colony lookout, the Labrador Straits Visitor’s Centre, the Point Amour Lighthouse, the Red Bay National Historic Site, the Battle Harbour national historic district, and much more. For more information about the Labrador Coast, please visit www.labradorcoastaldrive.com.